Constitution Day in Mexico celebrates the ratification of the 1917 Constitution, that was adopted after the end of the Mexican Revolution. The Mexican Constitution became the fist such document in the world to set social rights. It served as the model for the Russian Constitution of 1918 and the Weimar Constitution in 1919. Originally Constitution Day in Mexico was celebrated on February 5, the anniversary of its adoption. But the changes were made in 2005 after several amendments had been approved. According to the amendments, the articles 14 and 122 were modified and the use of capital punishment was entirely banned. Also there were some changes in the Mexican Federal Labor Law articles, including the changing of celebration of Constitution Day. Since 2005 it is always the first Monday in February. 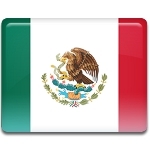 Constitution Day is a day off in Mexico. The celebration of the holiday is marked by large parades across the country.